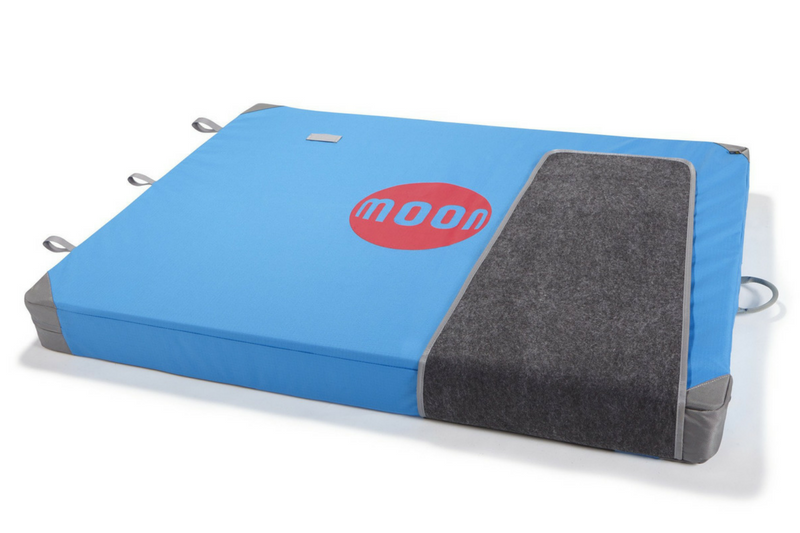 Grab one of our Moon Warrior pads to get out bouldering in the Peak District. Great if you are visiting Sheffield, starting out, or just need an extra pad for your project. Pads must be collected and returned within Foundry opening hours. If it is not possible for you to do this the day you will be using the pad, please let us know using the hire form, otherwise we will assume that they will be collected and returned on the dates stated. If you are hiring a pad for multiple consecutive days you can keep it for that whole period. You must be a Foundry member to hire a pad. Becoming a Foundry member. You must pay by card. We will also take a copy of that card which will be destroyed when the pad is returned. There is a £40 charge for any damage (rips, broken straps etc). If you do not return the pad you will be charged for its replacement. Named after Mars the warrior planet, this is a light but effective pad. The Warrior measures 130 x 100 x 12 cm. Features padded shoulder straps. Approx weight is 6kg/12lbs.